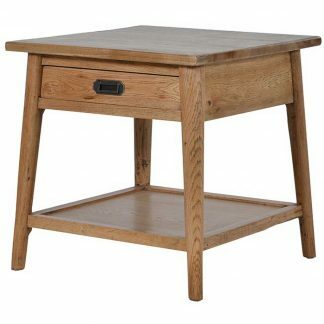 Timelessly elegant solid oak side table with curvy legs and one central drawer. Hand painted in a vintage distressed effect. Built to last. 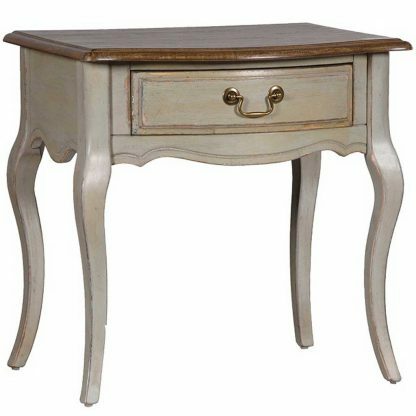 This stunning side table is sure to provide the perfect solution to your furnishing needs. 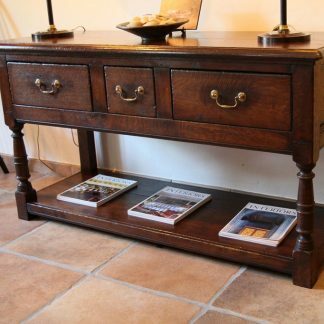 Simple, sophisticated and highly versatile. 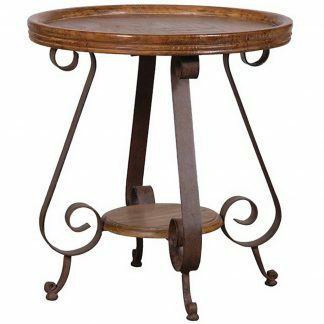 This side table is certain to be an enduring and distinctive feature any modern home for many years to come.